Waking up long before sunrise to drive the windy roads looking for the perfect spot to watch the sun creep over the peaks is always worth it. 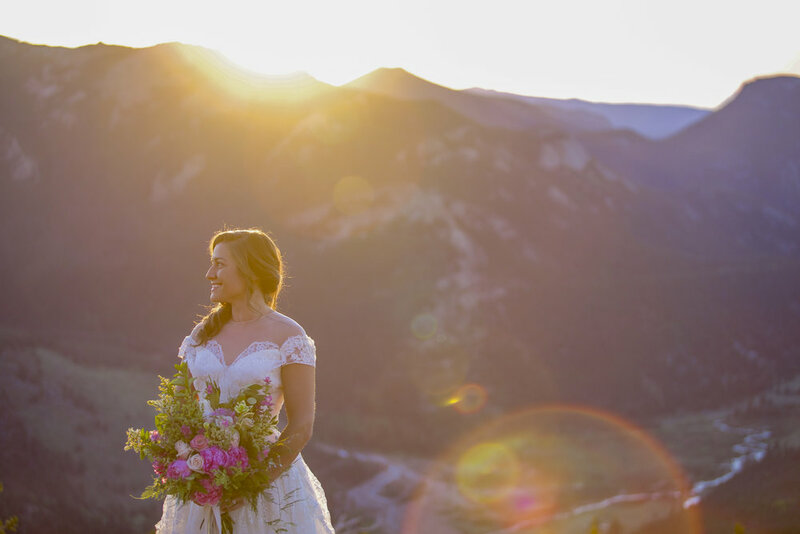 When we saw the sun starting to rise, we all jumped out of the car to catch that gorgeous morning light. 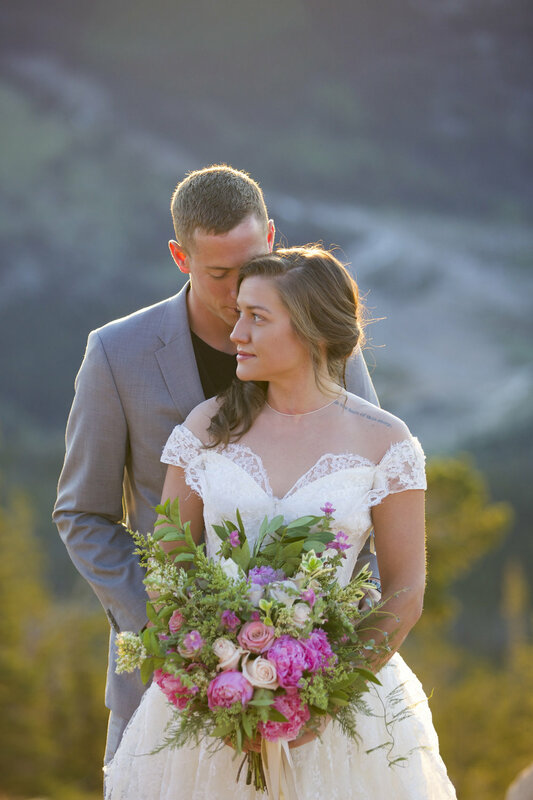 Mackenzie and Kodi run marathons with each other and scaling the mountains first thing in the morning while fully decked out in wedding attire was a breeze for them both. 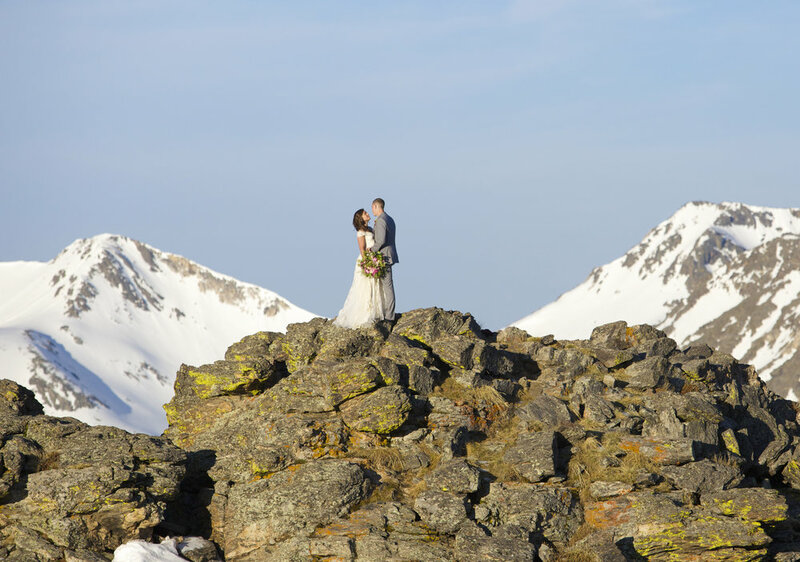 The idea of the shoot was to embody a mountain-adventure-loving couple who could elope on top of a mountain if that's what they had envisioned for themselves! 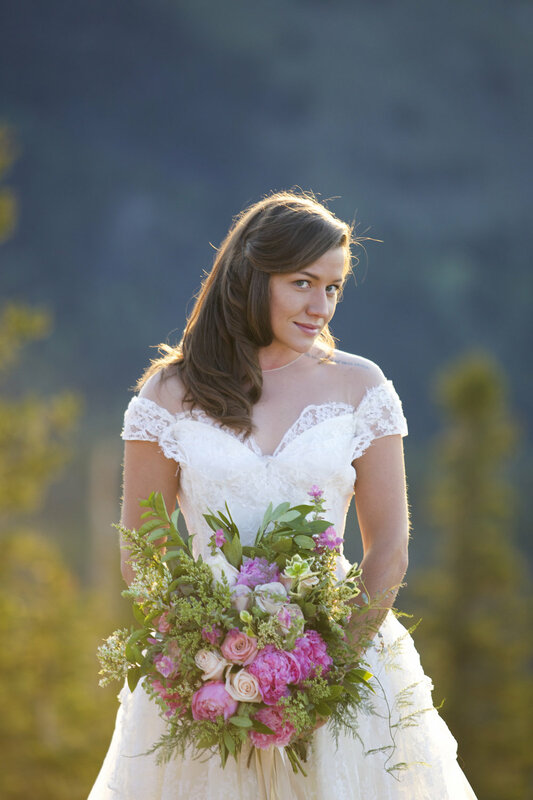 Mackenzie rocked her vintage Priscilla of Boston lace and tulle gown and her bouquet designed by Southern Charm Wedding and Events was to die for. 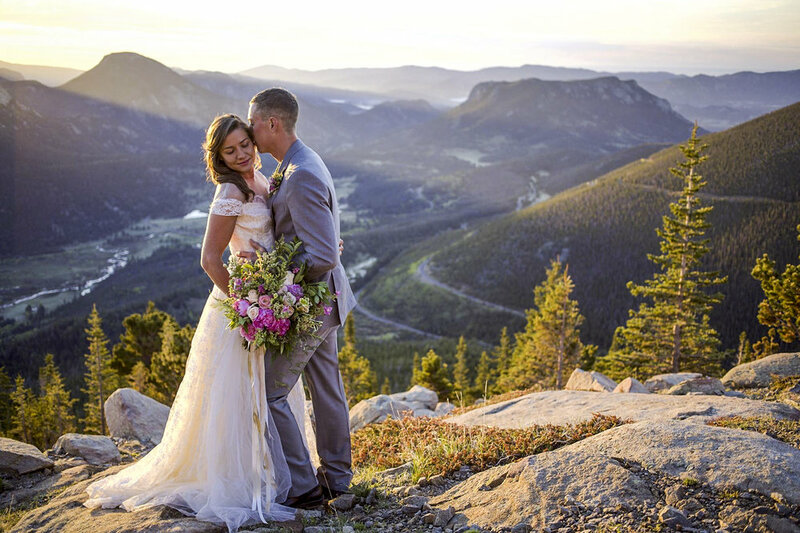 We are so thankful for couples who have a sense of adventure, a phenomenally talented florist, and the beautiful state of Colorado with stunning views around every curve!